Players will start off by moving around the square without their soccer ball and running into space. The game will then quickly turn into eveyone&apos;s it. If you get tagged you must run to a soccer ball and jump over it however you want. 60 seconds - Rep 5 - Everyone gets into pairs. 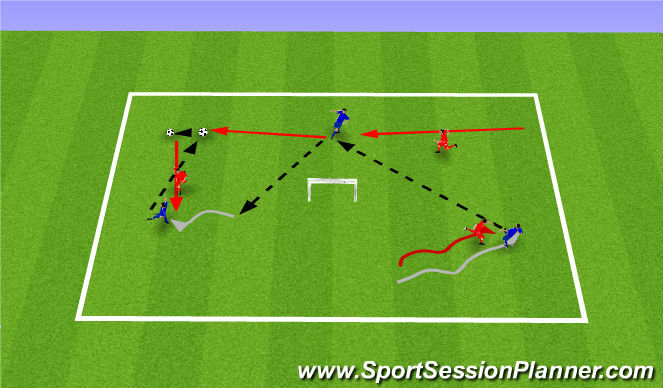 Pass & Move with pairs to find space. 2 minutes - Rep 6 - Everyone&apos;s it in pairs. Player with the soccer ball can only tag the other player with the soccer ball. 1) Where do you need to be looking? Players will team up in 3&apos;s. There will be 2 groups working in each area to provide a touch of organised chaos to the setting. The 2 attackers&apos; objective is to kick the ball at the jack. If the Defender wins the ball, their objective is to dribble it to the Pugg Goal in the middle of the activity area. Rotate defenders after each repetition - Give players 30 seconds to come up with a game plan. Move the Jack every game. Players will go 3v3. Defending team is still trying to put the ball in the pugg goal if they win. Attacking team play to the Jack. Change the location of the Jack every game. 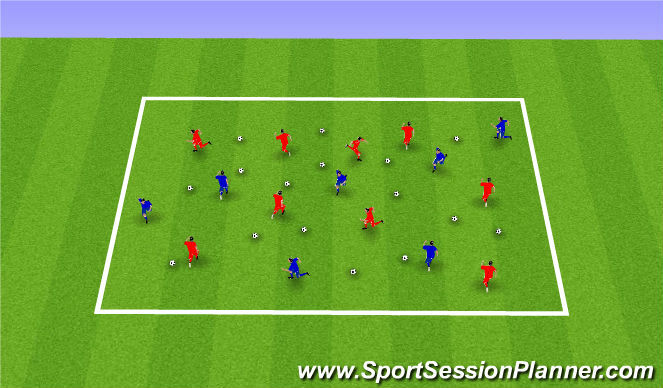 Rep 3 - 4 mins - Each Player must touch the ball before you can score (What is the fastest way of doing this? 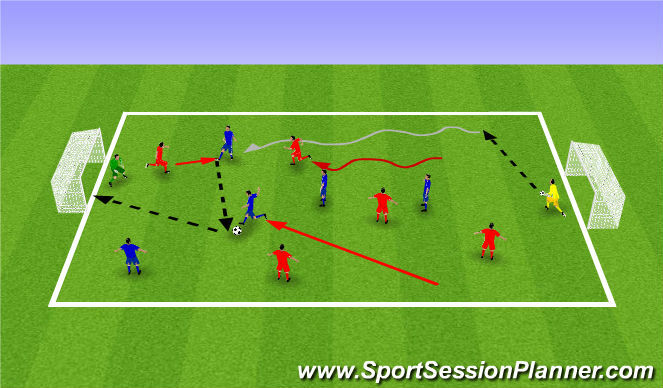 Rep 4 - 4 mins - Each Player must touch the ball before you can score (What is the fastest way of doing this? Players will focus on applying their understanding of what a 1st attacker can attack with and how a 2nd attacker can support. 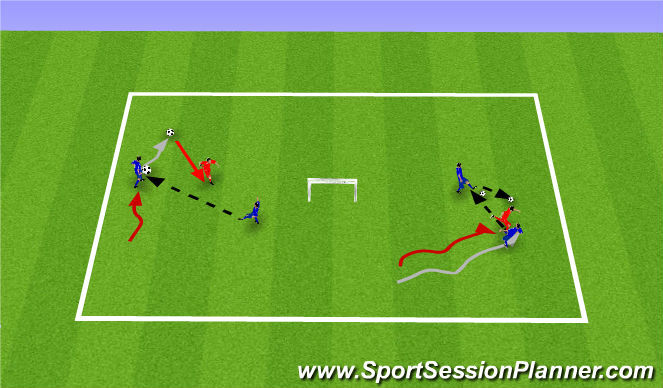 2) When the GK has the ball (Goal Kick or save) where do the 2 defenders go? Wide - Then where do they go to after the ball has been distributed? Central. WHY? To cover the space. 3) Soccer Savvy = Quick Throw in. WHY?